Medication nonadherence is a multifaceted problem, especially for people with chronic diseases. Increasingly, our society relies upon medications to treat diseases and conditions, prevent hospitalization, and improve quality of life. Numerous studies have shown that medicines improve clinical outcomes and reduce illness, disability, and death. Despite such findings, many people do not realize the full potential benefits of their medications; too often this situation is the result of their failure to take some or all of the medications as prescribed. Improperly using medication administration devices (e.g., inhalers). Compliance, adherence, and persistence are all terms commonly used in the literature to describe medication-taking behaviors. 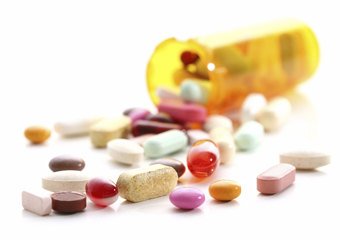 Adherence to, or compliance with, a medication regimen is generally defined as the extent to which a person takes medications as prescribed by their health care providers. Adherence has become the preferred term, defined by the World Health Organization as "the extent to which a person's behavior [in] taking medication...corresponds with agreed recommendations from a health care provider" (World Health Organization, 2003). The term compliance has come into disfavor because it suggests that a person is passively following a doctor's orders, rather than actively collaborating in the treatment process. Adherence, on the other hand, requires the person's agreement to the recommendations for therapy. Persistence is defined as the ability of a person to continue taking medications for the intended course of therapy. In the case of chronic diseases, the appropriate course of therapy may be months, years, or even the person's lifetime. A person is classified as non-persistent if he or she never fills a prescription or stops taking a prescription prematurely. Discussing the intended course of therapy when medications are first started has been shown to be an important factor in keeping people persistent with a medication regimen.